Member of Parliament for Korle Klotey, Dr Zanetor Agyeman Rawlings has stated that, the time has come for citizens of the country to make their voices loud and clear on issues that confront their very survival. The MP who could not understand why innocent citizens should remain silent and keep losing their lives due to the ineptitude of their leaders. Dr Zanetor blamed the laxity of city authorities of Accra for waiting till the rainy season to set in with its attendant havocs on residents before taking pretentious actions on the drainage system in the capital. She described as ‘so frustrating’ the phenomenon where the drainage system is not desilted early enough to pave way for the free flow of rainy and flood waters. Reacting to the recent floods that claimed some lives and destroyed properties, the MP said citizens must wake up and speak to power where possible hold demonstrations to register their protest and disapproval of state of affairs. Dr Zanetor who acknowledged that the drainage system in Accra have overgrown their usefulness since they were constructed when the population was less said it is reason city authorities must be proactive. The young lawmaker called for the urgent need to enforce the laws of the country. Stating her opinion on the introduction of new sanitation levy, the MP vehemently opposed the introduction saying the people are not seeing its benefits. According to her, authorities must show some efficiency in terms of the impact previous levies had on people to serve as a justification. She urged the need to speed up the dredging of major drainage systems including the odaw river not just on the surface but deep enough to allow rainwater to run freely. 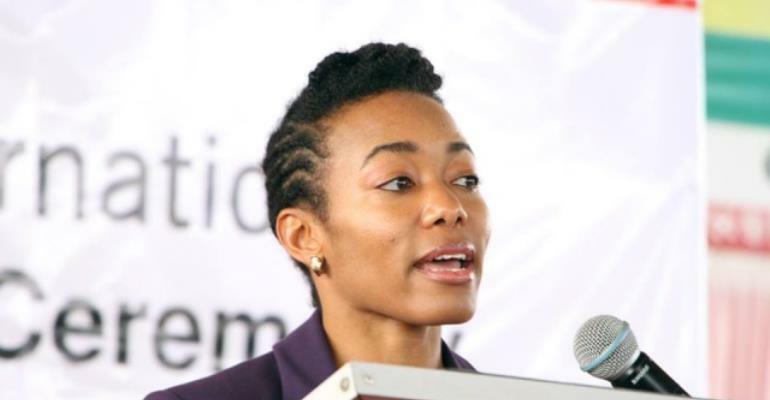 On the plastic menace which has become an albatross surrounding the neck of the country, Dr Zanetor said if Ghana cannot deal with the plastic menace, government must open more discussion on the issue on a more sustainable way. She also advocate for constant public education on waste disposal and its advantages and disadvantages whiles ensuring punitive measures are instituted against violators. According to her, if care is not taken, the country may be plaque with an outbreak of diseases including cholera due to the constant flooding.